What is a Heart Defect? A heart defect is when there is a problem in the structure of the heart. This disability is present at birth and varies from mild to life-threatening. These defects are structural problems due to the abnormal formation of the heart and major blood vessels. There are at least 18 types of heart defects which all vary in terms of treatment and severity. If your child’s heart defect is detected at a young age there is a high likelihood that the problems can be overcome and the child can live a normal adult life. This is why it is important to treat a heart defect immediately in order to manage the defect and reduce the severity of the symptoms. 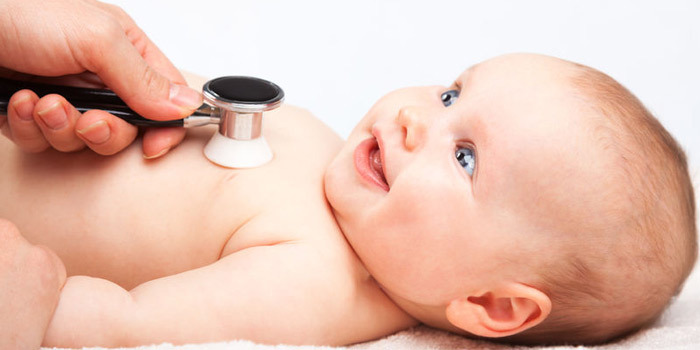 Some heart defects have no signs or symptoms, while others may have severe symptoms. Symptoms of a heart defect include rapid breathing, cyanosis, fatigue, and poor blood circulation. Cyanosis is when there is a slight bluish tint to the skin, lips, or fingernails. Heart defects can also cause heart murmurs, meaning that there are extra or unusual sounds during a heartbeat. However, it is important to note that many healthy children have heart murmurs as well. If not treated immediately, a heart defect can lead to heart failure as the heart is forced to work harder than it normally should. Other symptoms include a buildup of blood and fluid in the lungs as well as swelling in the ankles, feet, legs, abdomen, and veins in the neck. Treatment options for congenital heart defects include catheter procedures or surgery. For more complex cases, these two treatment options may be combined to repair complex heart defects. A catheter procedure is when a needle is punctured in the skin where the catheter is then inserted into a vein or artery. A device is then pushed out of the catheter where it then plugs the hole between the atria. Within 6 months normal tissue grows in or over the device. This procedure is much easier for patients when recovering in comparison to undergoing surgery. With regards to surgery, a child with a heart defect may need open-heart surgery. This may be necessary in order to close any holes in the heart, replace heart valves, or widen the arteries. In order to be eligible for this disability tax credit program you must qualify under some basic guidelines. This means that you must be considered as markedly restricted when performing basic functions, either all or most of the time. This includes being unable to perform these actions/activities, or require an inordinate amount of time (three times the normal time) to do so. The disability categories include: vision, speaking, hearing, walking, elimination, feeding, dressing, and performing the mental functions of everyday living. For example, some patients with heart defects experience poor blood circulation and have extreme swelling in their ankles, feet, and legs. This could result in a walking impairment as it may take an inordinate amount of time to walk even with the appropriate therapy, medication, and devices. These devices include canes and walkers. To be considered as markedly restricted, you must have difficulty walking 100 metres. It may either take a great deal of time to do so, or you may experience shortness of breath or pain. How To Apply for Disability Tax Credit for Heart Defect? To apply, our experts will assist you in filling out form T2201 where you will need to get your medical practitioner to complete this form. This will ask your doctor to describe how you are impaired by your disability. It is important to be descriptive in this section as a patient can be affected in a variety of ways by Heart Defect.